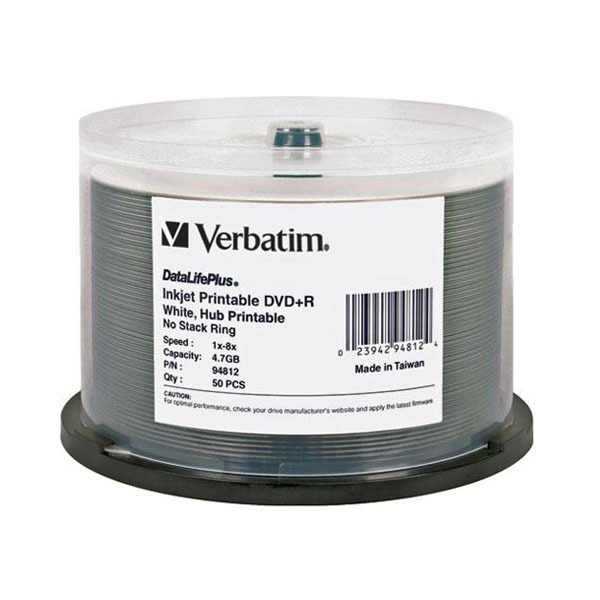 VERBATIM DVD Recordable DVD media is a natural choice for data archiving and backup. Choosing a DVD+R or DVD-R is ideal, as these write once discs prevent contents from being erased or mistakenly replaced. Customer-driven, Verbatim is known for adding considerable product value--above and beyond its competitors--to established media technology. As an industry pioneer, Verbatim is recognized for the role it plays in early product development and commercial product introduction of new technologies. Verbatim's leadership role is especially apparent in the evolution of optical media recording including MO and the CD/DVD family of products. Along with its technological innovations, Verbatim has always been recognized universally for its superior manufacturing practices. Verbatim was the first media company to receive ISO certification, the de facto standard for quality management systems worldwide. This commitment to quality translates into consistent product performance and reliability. In addition, Verbatim provides toll-free technical support and service to enable its customers to maximize the performance of its products.